Occasional Teachers working at Upper Canada District School Board (UCDSB) are members of the Elementary Teachers' Federation of Ontario (ETFO). ETFO represents over 83,000 teachers, occasional teachers, designated early childhood educators (DECEs) and education workers employed in the public elementary schools of Ontario. Occasional teachers belong to a separate bargaining group from the contract teachers. Our Local is called UCOTL (Upper Canada Occasional Teachers' Local) and we have approximately 650 members who work in UCDSB classrooms. While all of our members are qualified educators, we are a heterogenous group. Some are retired teachers, some are career Occasional Teachers and others see OT work as a way of gaining experience before obtaining a full-time teaching contract. At the Local level, you elect an Executive at the Annual Meeting held in May. This year your elected representatives are: Sylvia vanCampen, President; Bobbie Wylie, VP; Judy Haddad, Treasurer; Paula Carmichael, Professional Learning Chair, as well as Members-at-large Shane Schwendemann, Mike Baker, Jennie Brundige, Kyle McCulloch, Leeann Blondin. The individual Locals meet with other Locals and affiliate unions in their areas to share information, better utilize resources and form a larger picture of local needs. 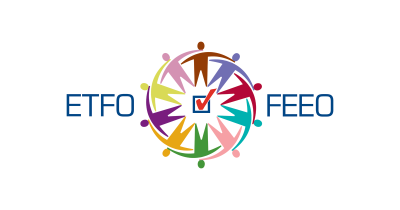 Leaders of individual Locals also meet three times a year at Representative Council in Toronto to evaluate the policy and direction of ETFO and to develop actions which complement them. Leaders in the Eastern Region meet in October and March and all occasional teacher leaders meet in September and June. HOW DO LOCAL LEADERS STAY CURRENT? UCOTL has 2 delegates to the ETFO Annual Meeting, held in Toronto in August. It develops the policies and direction of the Federation (also referred to as the Union). The Annual Meeting also elects the president, 3 released officers and the other members of the Provincial Executive (total of 14 members). This Executive serves as the Directors of the Federation and make important decisions about the focus of this organization and the financial implications of each area of focus. Our provincial President is Sam Hammond, our First Vice-President is Karen Campbell, the Vice-President is Nancy Lawler and the Vice-President (female) is Monica Rusnak. Diane Dewing is OTF President. Through the website (etfo.ca) members may also apply to serve on various provincial committees. These committees advise the executive about important issues and initiatives concerning which they have special expertise. HOW ARE YOUR CONCERNS HEARD BY PROVINCIAL ETFO? Being involved with Federation has some great perks! In addition to meeting colleagues from across UCDSB, you have the opportunity to create change. There is something for everyone’s talents -- Committees, action for social justice, social events. Think about joining in! Collective Bargaining – learn about the negotiation process and have input on changes to your collective agreement. Communication – help us review and improve all our communication to members. We meet twice a year. Equity and Status of Women – work toward a more just society by supporting people and organizations who work to create change. Member Engagement – plan events and actions that will keep members connected with their Federation. Political Action / Public Relations – explore ways to connect teacher issues with current ideas, actions and events in communities and the political realm. Many people think they know what happens in classrooms & schools but do they? Connect with activists in communities across UCDSB and Ontario.